TYPE: Luxury resort for the outdoor enthusiast and premier seasonal skiing destination. POOL/GYM: The amazing 24-hour heated pool and adjacent whirlpool provide stunning views across the valley to the Tetons and is incredibly restorative after a day of skiing or snowshoeing. There is a small fitness center with exercise studios. RESTAURANT: The 65-seat Grill, open for breakfast, lunch and dinner, specializes in local, sustainable ranch meats, fresh fish and produce. Bison short ribs, Wagyu filet and anything elk are must-trys for carnivores. The chef works around any dietary restrictions, including making the best gluten-free bread I’ve ever had. VIBE: Cozy, chic sanctuary where you will want for nothing, except more time to take in the majestic panoramas. 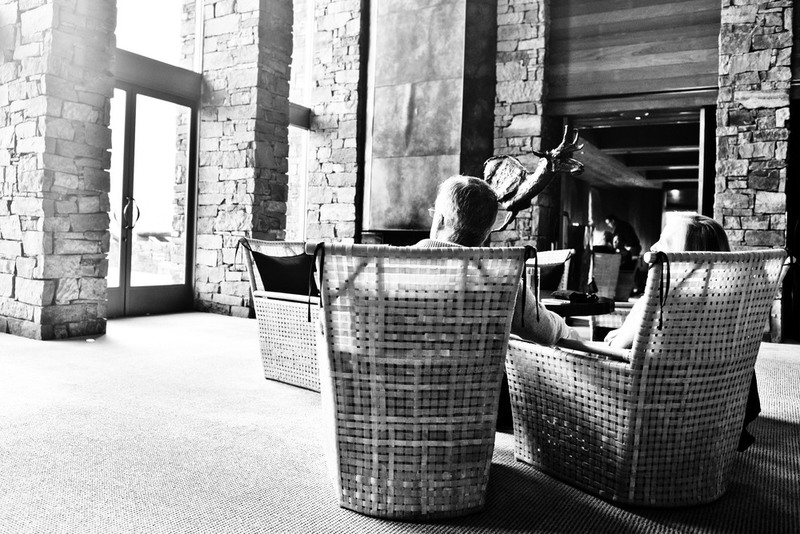 BAR: The lounge features two-wood burning fireplaces and two-story windows showcasing the stunning mountain views. Just off the lobby is the intimate Zinc Bar which hosted a nightly fondue happy hour during our stay. Excellent cocktails and wine list. In the colder months, do not miss the huckleberry cider. SPA: The spa features four treatments rooms and separate steam rooms for men and women. Services include a range of massages, facials, body treatments and nail and hair services. KIDS: Yes. Although it’s a very quiet property, there were several children in residence during our stay. 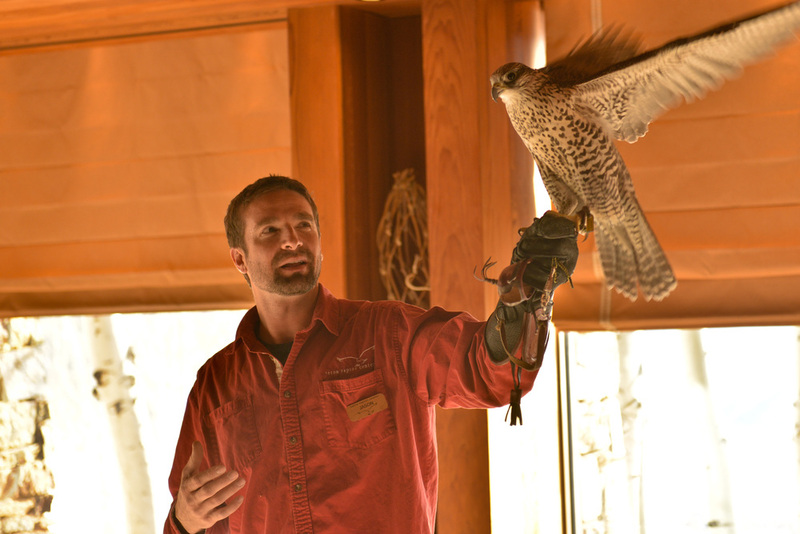 Young ones will especially love the abundance of wildlife activities at the resort, including the weekly Raptor Night Lecture and Demonstration where they can get up-close-and-personal with an owl, falcon and golden eagle. 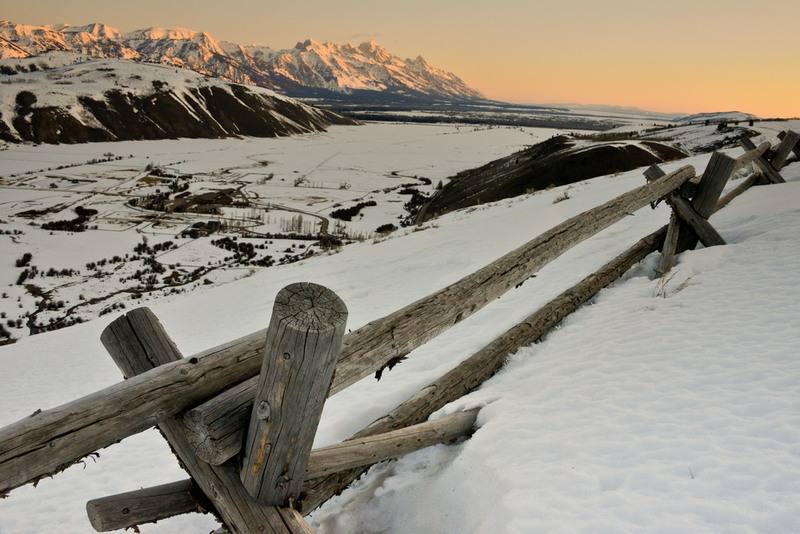 LOCATION: Amangani is a 20-minute drive from Jackson Hole Airport (located within Grand Teton National Park – talk about a beautiful approach). 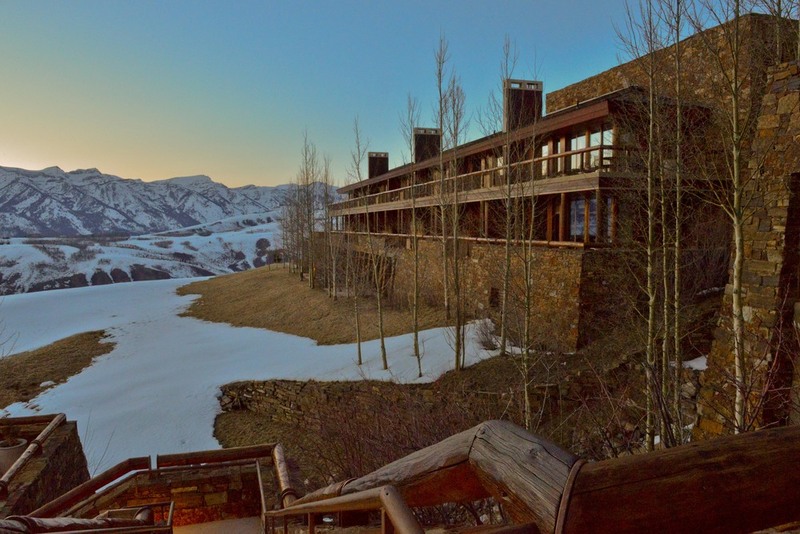 The hotel is perched on the edge of the East Gros Ventre Butte, perfectly situated between the town of Jackson (5 miles) and Jackson Hole Ski Resort (12 miles). 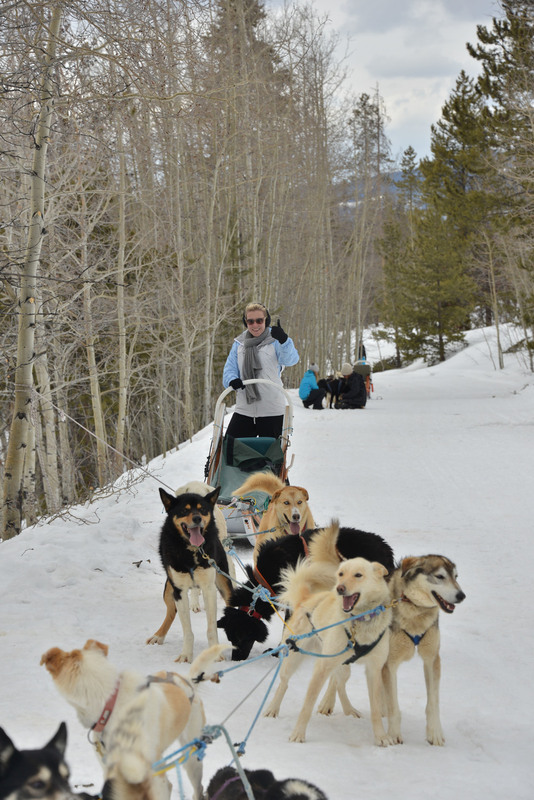 I recommend renting a car for maximum ease of getting to town and around the National Park and Teton Village. Amangani translates as “peaceful home” and I cannot think of a more accurate description. Immediately upon arrival, the hotel’s calming, comfortable vibe allows you to quickly settle in and feel right at home. Furthermore, the Amangani staff is fantastic – attentive and always available but never intrusive – and by the end of our stay they felt like family. Amangani is a phenomenal year-round resort where outdoor activities abound. Warm weather options include hiking, horseback riding, fly-fishing, mountain biking and exploring the boutiques and galleries of downtown Jackson. 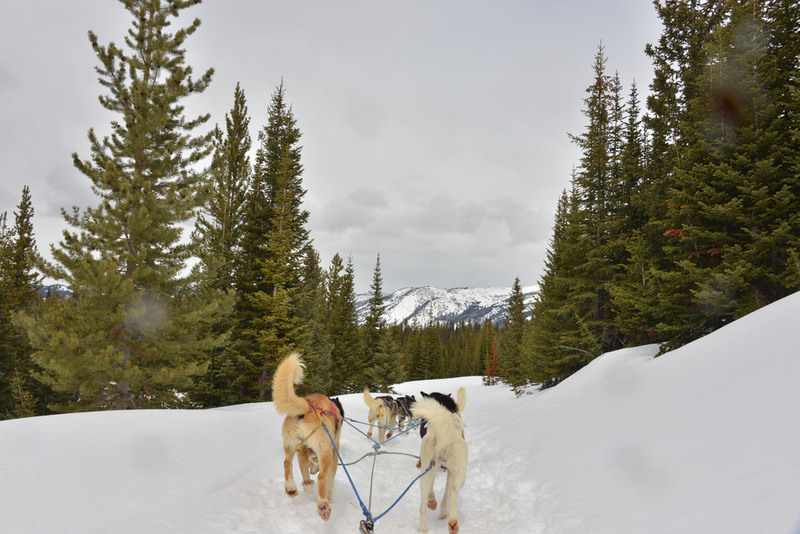 Winter pursuits include skiing and snowboarding (Jackson Hole Mountain Resort was named SKI magazine’s #1 Overall Resort in 2014), snowshoeing, dog-sledding and snowmobiling. The private Amangani ski lounge at the base of Rendezvous Mountain provides a VIP-style respite from the Teton Village crowds. Special four- to six-night programs include Wolf & Bear Expedition, Fly Fishing Adventure, Photography Workshop, and Adventure in the Wild.